Bats%t crazy, but unfortunately .. 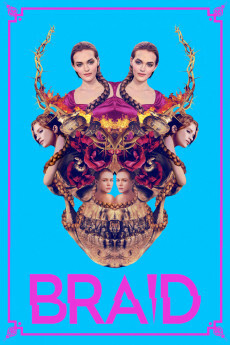 There is a brash, surreal, out-the-box vibe to Braid that I have to appreciate, but it's hard to ignore the amateurish aspects which make it feel more like a B-movie, whether it's the uneven acting, bratty characters, unstable tone, and almost random attempts to be edgy and experimental. I absolutely love overt weirdness in movies, but I also believe there must be a solid vision to be able to employ it successfully. What makes surrealism work or not, is perhaps down to personal taste, and since it becomes clear very early on that the director has every intent of sabotaging a 'normal' telling of this story, one then has to rely on intuition as a guide. My problem is that despite watching with full attention, my intuition kept telling me that this whole ordeal is bupkis. As it devolved into predictably violent terrain, with a poorly drawn detective character, the film began to feel less intelligent, and deliberately inchoate, as though its director put this whole thing together during a manic coke binge. Instead of the pleasure of watching little pieces of brilliance come together like pieces of a dream, I was simply lost very early on, and when I submitted to that loss, I was bored. There are moments of crazed greatness here, but they are unfortunately not well enough sustained, and arrive along with a mixed bag of scenes and characters that don't amount to a whole lot. 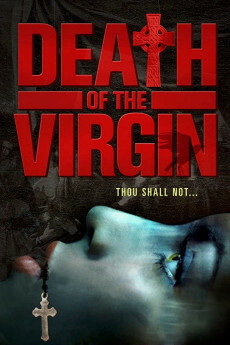 Every now and then you have a bad movie, this is one of them. Two of the thirteen reviews so far have a ten star rating. I'll let you guess how many other reviews those two people wrote. None! There is no chance in hell that somebody not involved in this movie would score it a perfect score, or maybe if you're very easily pleased and have no clue about other real gems. Braid starts promising, with good filming shots so I can't blame the director for that, but the more the movie advances the lesser the quality. It's just badly written, not interesting at all, and the final twenty minutes I just lost all interest as it became just a mess. Don't waste your time on this boring story. This was a film that another reviewer was telling me about on social media and it had me intrigued. When I saw that it was coming to my local theater, I made it a point to check it out. The official synopsis is two wanted women decide to rob their wealthy psychotic friend who lives in the fantasy world they created as children; to take the money they have to take part in a deadly perverse game of make believe. We kick this off seeing the three young women as they are digging what turns out to be a shallow grave. We get images of them in it before it finally shifts to a seedy room. Tilda Darlings (Sarah Hay) is taking inventory of the drugs that they have and what they are able to make it if they can sell it all. On the bed is Petula Thames (Imogen Waterhouse). Things take a turn when the cops show up and they have to flee without their inventory. They need to come up with money to pay off Coco, who I'm assuming is their supplier. The two young women take a train to what we learn is their hometown. As the synopsis states, they are going to visit their friend, Daphne Peters (Madeline Brewer). They arrive and head for the house. We are giving images of these three girls when they were kids. We see them as they are playing doctor in a tree house. The film then informs us that this is Rule One: You Must Play the Game. The film is then broken into three chapters, with the other two rules as headings. Tilda and Petula put their phones in the mailbox along with their IDs. Tilda then goes into the house and acts like nothing is going on. She calls the woman at the sink mother. It is actually Tilda and Daphne playing the game from when they are a kid. Petula then rings the door bell, as the doctor. Dephne is not as in touch with reality and the game has some high stakes. They need to find the safe and the money before they are too late, but what is the truth of all of this. We also get the history between these three and what brought them to this point. A detective from their past, Siegel (Scott Cohen), also comes back to solve what is going on. Now I'm going to perfectly honest, this is a film I think I need to see again to fully understand. I checked out some reviews right after, because there's a lot to digest. This film seems to be polarizing between people thinking there is no point and others who think there is something more to the story. I personally found it to be the latter. I won't go into spoilers, because I definitely think that people should see this. There's a lot to do with the descent into madness. I can say that something traumatic happened to Daphne when she was a child. It is actually quite sad, especially for the role that she plays in this fantasy world. It makes me wonder if that is what sent her over the edge to being the crazy person she was, or if there was something else along the way. There was a moment in this film where I thought they were going to say this was all just a dream. That would have completely ruined the film for me, but I can assure you, that doesn't happen. To go further though, there are things that are happening that might not be. There's a deeper concept here that younger people are idealistic and that they are out to try to live their dreams. The problem can become that some people have too lofty of a dream. There's the sad realization that some people can't handle this and what they do to try to cope. I'll be the first to tell you, I've had depression that really makes me question what I'm doing. This moves me to the pacing of the film. I think this aspect of the film is good. We never really hit any lulls and I think a lot of that is because the film is only 82 minutes long. This is perfect for this, as it is quite surreal and I think padding this out with unnecessary filler would have hurt the film. The ending is something that I don't know if I fully comprehend, but I do think one of the last images we see is more metaphorically than I originally realized. I think it is almost killing their childhood, but not being able to handle it. I would also say that the acting for this film is good as well. Brewer struck me as the best performance. She has to play crazy and let me tell you, I think she did a great job there. We can see that she is unstable, but she also kind of is with it in that she knows what she's doing. Waterhouse I also thought was good. She comes off as such a strong character and the leader. What makes it really interesting though is her reveal. Going from interesting reveals, there's also one with Hay. I found all three of them to be attractive, but she was my favorite. I also found her character to be the most intriguing as well, especially in the third chapter of this film. 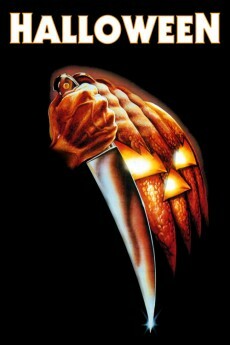 Cohen was also fine in the role he played as were the rest of the cast, they rounded out the film for what was needed. The effects for the film were also good. The biggest thing is how the film was shot. It was beautiful and there are some trippy aspects to it as well. Part of this is supposed to come from Petula and Tilda taking drugs so we get vivid colors and things that aren't normal, to show us what they are seeing as they tripping. We also get some images that are explaining why some things are happening. It almost comes off as a fable. The blood and the rest of the effects seem to be practical and were well done. Now with that said, I don't think this film is for everyone. I saw someone state this film is like a modern fable and I can see that. 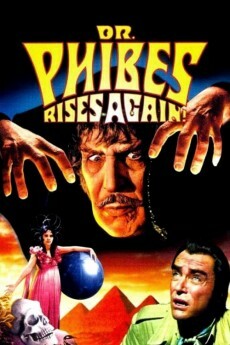 There are a lot of surreal things in this film and the trippy imaginary really helps that. The way that I read this film really has an interesting concept with how people my age and younger try to deal with the threat of a mundane life or how not to. 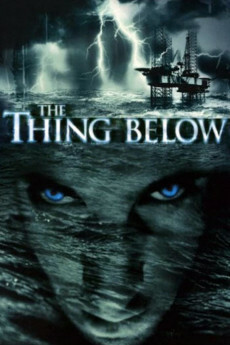 The acting for this film I found to be good and the practical effects of the film were solid. The score of the film didn't really stand out to me, but I do think that it was fitting for what they needed. Overall I felt this was good, but I really need to check this out again to see what I might have missed with this first viewing.